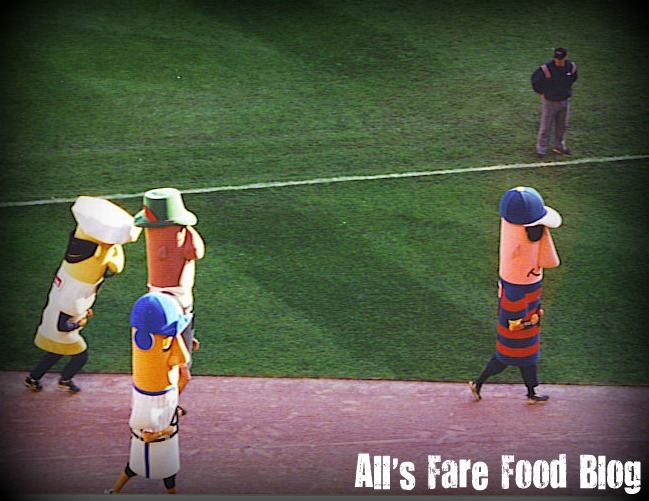 I don’t think many of my faithful readers know that way back in 2006 I had the pleasure (or curse) of being a famed Klement’s Sausage at Miller Park when I worked for the Milwaukee Brewers. As the story goes, I was wearing horrid, glittery gold shorts, pink tennis shoes and was dressed as Brett Wurst, the bratwurst during a day game. I was pinch-running for a girl who tore her casing just before the 7th inning race. Well, there’s more to being a little slow in baseball. When you only have 90 seconds due to Major League Baseball contracts and radio broadcasts, that really only leaves the famed sausages about 30 to 40 seconds to make it from the far third base side to the far first base side. After wobbling my way around home plate, and teetering near the Brewers’ dugout (Ned Yost came to my aid to hold me up), I finally crossed the finish line – only to be berated by my boss saying that I was the most pitiful sausage ever. This news coming only a few short weeks after I fell out of a golf cart (while dressed as Stosh the Polish Sausage) while making rounds to happy-go-lucky tailgaters in the stadium’s parking lot. Needless to say, that was my last day working as a sausage and for my beloved home team. My dreams to make it on Sportscenter as a heroic victor were crushed by the highlights of me nearly falling into the dugout being played repeatedly on local television. Still, I love this endearing mascot that Milwaukee calls their own. And, I’m proud to say that another nod to it will come in 2011 when the Klement’s Famous Racing Sausage Kabob makes its debut at Miller Park.